This is a very exciting beauty box. 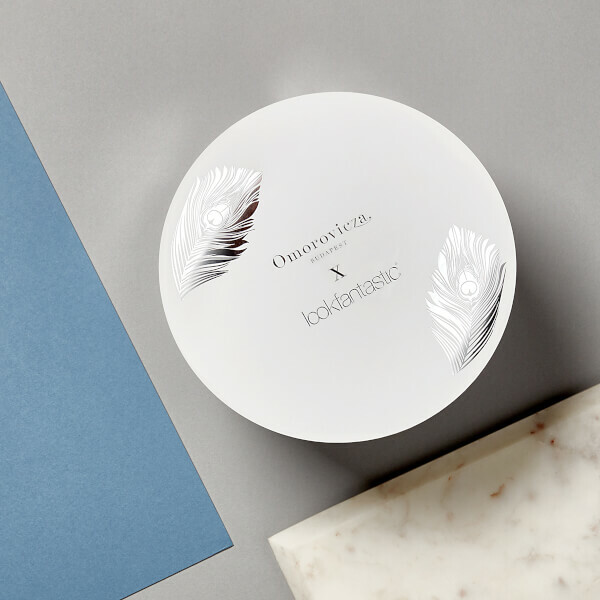 LookFantastic has collaborated with Hungarian skincare brand Omorovicza to bring out an exclusive, luxurious beauty box this Autumn. The box is worth £209.30, and costs £79. It contains six products, of which three are full-sized. I'm a huge fan of the Omorovicza Thermal Cleansing Balm - my favourite balm cleanser - and the incredibly luxurious and refreshing Queen of Hungary Mist (they should make this a perfume and sell it. Mmmmmm! ), so I'm very excited about this box. The price point of Omorovicza products is the one thing I'm not a fan of, so this box means we can get a few goodies at a bargain price! ONE item alone in this box costs as much as the box itself. And, extremely limited numbers are available! Scroll for contents and spoilers of the LookFantastic x Omorovicza LE Beauty Box for Fall 2017. The packaging is just like a hat box. I love this and wish LF would start doing their regular beauty boxes in hat-box shapes rather than in those square/rectangular boxes. Here's a bit of information about Omorovicza, for those who came in late. 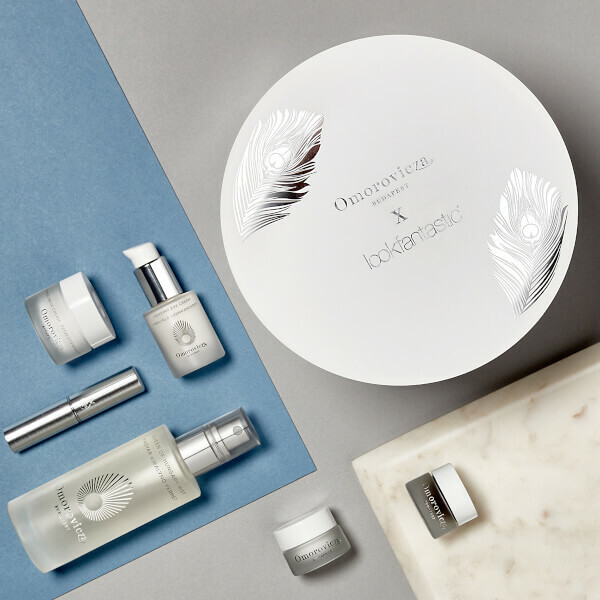 Founded in the depths of a Hungarian Spa in Budapest, Omorovicza is very much a family-owned skincare brand, now managed by Margaret and Stephen De Heinrich. The spa itself, otherwise known as the Racz Spa, was built by the Omorovicza family in the 1800’s, and continues to be a healing location for many people today thanks to its mineral rich waters. The spa, and all Omorovicza skincare products, are founded on the belief that Hungarian Thermal Waters are curative, and thanks to their nutrient rich properties, help to heal many skin conditions and problem areas, from eczema and psoriasis, to blemishes and lack of radiance. Each Omorovicza skincare product is carefully created using these Hungarian Waters, and the brand’s exclusive and unique Hydro-Mineral Transference System. This system delivers the minerals from the thermal waters directly into the skin, so your cells receive the best nutrition possible. The result is a beautifully healthy and glowing complexion that has everything it needs to fight off environmental aggressors and the effects of pollution. The Omorovicza Thermal Cleansing Balm is one of the brand’s best-selling products, and is considered a cult cleanser in the beauty industry. Upon contact with skin, the cleansing balm heats up and helps to detoxify the skin, along with its mineral-rich Moor Mud base. Along with this balm, the Omorovicza Queen of Hungary Mist is a skincare classic everyone should use in their beauty routine. The lightweight spritz instantly refreshes and revives tired complexions, and helps to keep the skin hydrated throughout the day. Of the products in the box, one is a full-sized Queen of Hungary Mist (100ml), which costs £48 on its own! 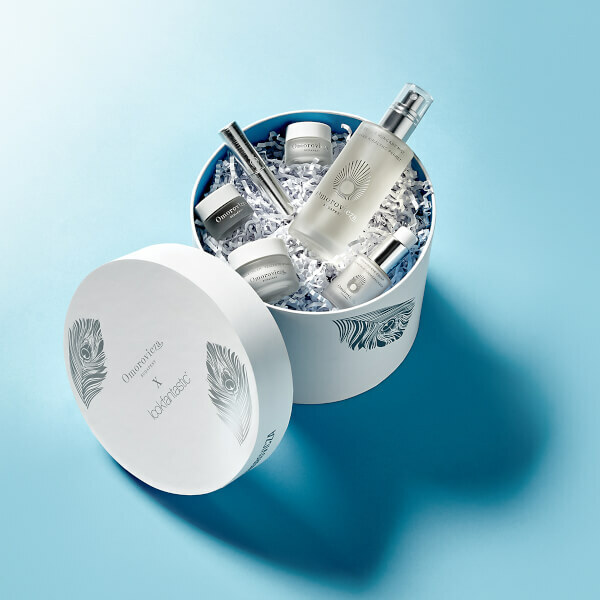 The Reviving Eye Cream alone costs £80, which is more than the cost of the box itself. The box is definitely worth it, and will be snapped up very quickly, because of the bargain deal. To sweeten the deal further, you get £20 off the box if you also add a subscription to the LookFantastic Beauty Box! To get your LookFantastic x Omorovicza box, go here - they ship worldwide tracked (free to most countries). Extremely limited numbers are available! And, if you haven't already got your hands on the LookFantastic Beauty Advent Calendar for 2017, you can do so here.